After Instagram introduced Stories, Facebook begins testing more familiar features in its all-out attack against Snapchat. Mark Zuckerberg is having a real Daenerys Targaryen moment this week. On Friday, Facebook started testing new features on its mobile apps that famously originated on Snapchat. 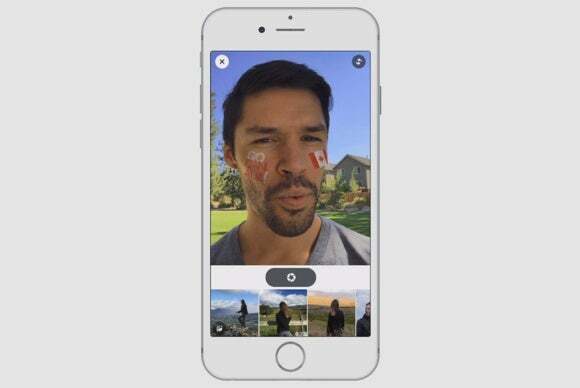 When some users in Canada and Brazil launch the Facebook app, they will be greeted with a camera-first screen to encourage taking a photo or video. 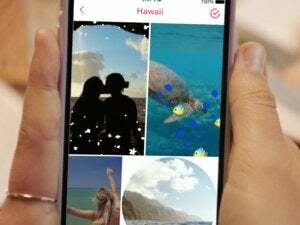 Furthermore, these users will be able to add animated filters and stickers to their selfies. This marks the first time the social network has incorporated technology developed by MSQRD, the video effects startup that Facebook acquired in March. These Snapchat-style features were launched in conjunction with the Rio Olympics. For example, users can filter their selfies to make it seem like they are wearing face makeup of their home team. The test starts rolling out today to all iOS and Android users in Canada and to iOS users in Brazil. Earlier this week, Facebook-owned Instagram delivered the initial blow against Snapchat by incorporating Stories—video and photo slideshows that disappear after 24 hours. And Instagram execs were very forthcoming about their inspiration. Instagram CEO Kevin Systrom said that Snapchat “deserved all the credit” for originating the idea. Why this matters: Snapchat famously rejected a $3 billion-dollar acquisition from Facebook back in 2013. 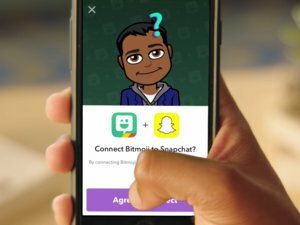 It seemed like a smart move at the time, as Snapchat only continued to grow to its current 150 million daily users. And after Facebook failed to successfully launch several of its own standalone Snapchat clones, it seems that Mark Zuckerberg and co. now have an different strategy: “Borrowing” some of their competitor’s features and integrating them into their established products. This is all part of Facebook’s all-out offensive to try to replicate Snapchat’s “lightning in a bottle.” In recent months, the Facebook app introduced stickers, and Facebook Messenger started testing disappearing messages. 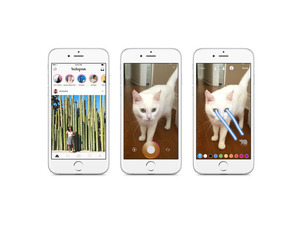 It’s unclear when and if the camera-first feature and the selfie filters will eventually become a part of the Facebook app worldwide. And it’s too early to say whether Facebook’s massive audience will embrace these drastic changes. The Facebook app already has too many moving parts—from event RSVPs to live video—that drain your iPhone battery like crazy. Perhaps a better bet would’ve been to test these features in the Instagram app, with its focus on photo and video sharing. 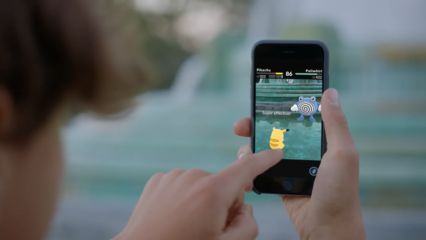 Snapchat’s original concept of launching camera-first aligned the app perfectly for virtual and augmented reality experiences. And we know that VR and AR is something Facebook is very interested in developing. Bring out the dragons!